Take a listen to “I Need You” from VaShawn Mitchell’s incredible CD “Triumphant”!! This is another hot track from this wonderful CD!! Buy this song on iTunes Now!!! Sometimes the most powerful art comes from the most personal challenges. In 1996, after serving in Chicago-area churches as a Minister of Music, choir director, songwriter, and emerging force on the national Gospel music scene, VaShawn Mitchell found himself sitting alone in a jail cell. A youthful indiscretion resulted in a sentence the court system simply would not waive, despite the support and testimony of several of the Windy City’s most influential men and women. The pivotal experience served as backdrop to several of VaShawn’s most touching songs, including the contemporary Gospel hits “My Testimony,” “My Worship Is For Real” and “For My Good.” Now, he fully demonstrates his maturity as a songwriter and worship leader on his EMI Gospel debut, simply entitled Triumphant. 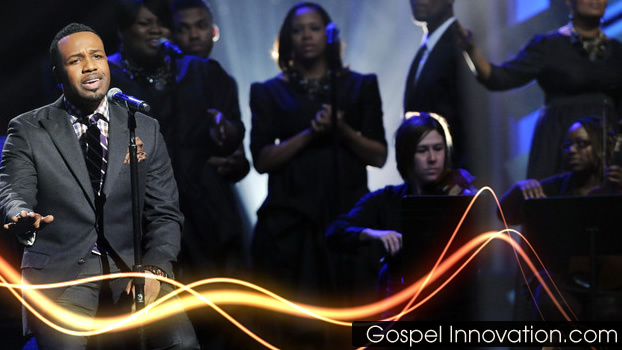 True to its title, the upbeat and inspirational project was recorded live at Higher Living Christian Church (formerly New Birth South), the Atlanta-based ministry where VaShawn has been Minister of Music since 2007. The progressive, urban styles of the southern metropolis can be felt throughout the album; however VaShawn never strays far from the sound and influences of his hometown. VaShawn Mitchell was born and raised in Chicago, IL. The city known as the birthplace of Gospel music quickly made its imprint on him. When he was barely a teenager, VaShawn became the assistant music director of St. Mark Baptist Church, working closely with nationally renowned choir leader Lonnie Hunter. “I started singing as a kid in the children’s choir and young adult choir, but I showed a gift for directing at that time,” says VaShawn. His ability to conduct and lead singers many years his senior kept him at the forefront of music departments throughout the city. For nearly a decade he served as Minister of Music at Bishop Larry D. Trotter’s Sweet Holy Spirit Church, setting the musical tone both within the church walls and on the ministry’s top-selling recording projects. As he grew into his role at Sweet Holy Spirit, VaShawn began to be impacted by other popular choir leader-songwriters of that period, including Kirk Franklin, Kurt Carr and Donald Lawrence. It was Lawrence who became a mentor to VaShawn, urging him to become familiar with the classics of the contemporary Gospel era. “Donald encouraged me to study songwriters from before my time. I started purposefully going to old music stores and places like YouTube to listen to those people and to develop my songwriting,” he says. VaShawn’s artistic vision grew, shaping him into a mature worship leader and a recognized Gospel songwriter. His songs have been recorded by some of Gospel’s most celebrated artists, including Smokie Norful (“Just Can’t Stop”), Vanessa Bell Armstrong (“Help”), and Bishop Paul Morton (“Cry Your Last Tear”). His fervor for worship and praise can be felt throughout Triumphant; from the enthusiastic high praise opener and the powerful title track, to the deeply personal choir ballad “Nobody Greater” and the prophetic hymn “Be Fruitful.” More than a collection of hits, the project stands as a fully developed theme. With a passion for worship, the heart of an encourager and the story of an overcomer, VaShawn Mitchell is truly an artist for this age.